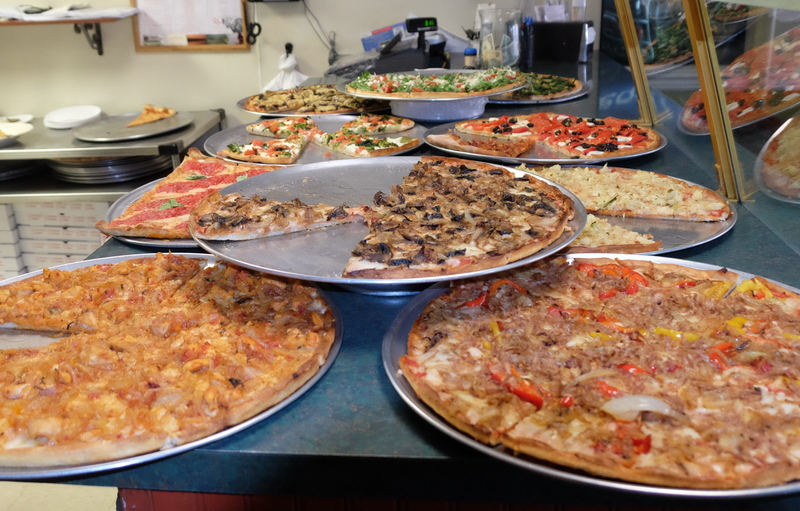 We love pizza around here and, wow, do we have some great pizza along the Delaware! It should come as no surprise that this region is home to some of the best pies in the country, if not the world. Trenton tomato pies are a phenom unto themselves. Just Google “Papa’s Tomato Pies” or “De Lorenzo’s Tomato Pies” and you’ll see what I mean. People are *crazy* about pizza around here. Roman Style, thin crust gourmet pizzas have a strong following here as well. With as many restaurants selling pizza around here, you’ll probably be able to find something to your liking. This page lists the best pizza joints around here. If you’re visiting Bucks or Hunterdon Counties or the surrounding region, and you have a hankering for a great pie, check here for a recommendation. And if you don’t see your favorite place, join the discussion, drop a comment and we’ll see if our readers agree. Please note – this is not intended to be a complete list of all the pizza shops in the region. It’s a list of places that I, or people I know and trust, have eaten at and found to serve exceptional pies. If you just want your restaurant on a list of pizza places, add it to Yelp or tripadvisor. This is not the site you are looking for. Additionally, I’m just including the address and phone numbers. If you need to know the hours and days of operation, you’ll have to do a little research. It’s just too much work for me to try to keep everything up to date. Cafe Galleria has been “secretly” making excellent brick oven pizza for years but people often forget about that because of their great gelato wide selection of entrees. They’ve got a great selection of traditional as well as gourmet specialties – check out their brick oven menu. The recently remodeled Dominick’s Pizza, once a place you’d just go to grab a slice for lunch, has become a decent full menu italian restaurant. Fortunately, they remembered their roots and still feature numerous pies at lunch time, from thin, garlicky, white pies to big, meaty, Sicilian style thick crust pies. They do everything, and they do pizza well. How many places can go from a thin-crust Margherita to a double-thick crust with “chicken, bacon, chipotle, ranch”? Check out their extensive menu here. Word on the street is that their cheesy garlic sticks are awesome. Honestly, I’ve only had their tomato pies because they’re so delicious. 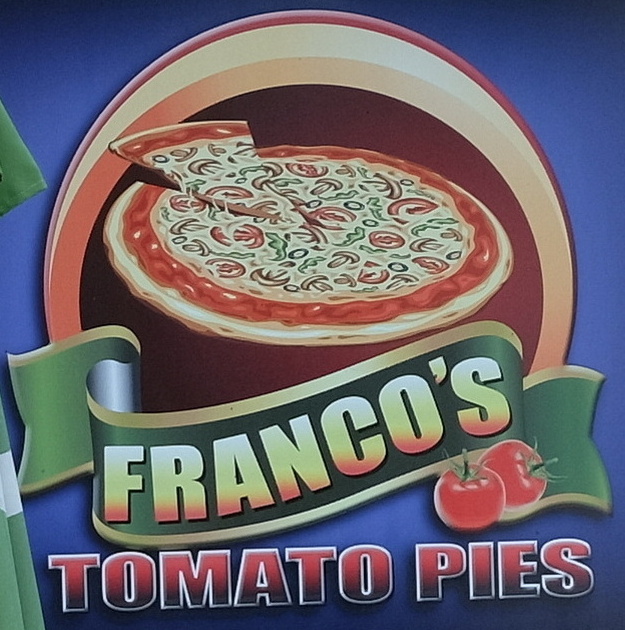 If you like sweet tomatoes in sauce and minimal cheese on a crispy, thin-crust pizza, it’s hard to beat Franco’s. Known for their Brooklyn Tomato Pie but my favorites are the eggplant and the arugula pies. These are *crazy* good. Also, anything with onions. Theirs are done right. You know how most places place raw onions on pizza then thrown them into the oven to burn or stay raw? Galasso’s are done right. Soft. Gooey and sweet. O.M.G. – delicious. The eggplant is excellent by the slice. The arugula should be had as a full pie, made fresh. Cold slices don’t do it justice, though they’re still better than you’ll get just about anywhere. A great addition to the food scene around Lambertville. If you can, check out their “guest Pizzaiolo” series, every other Tuesday when they bring in renowned chefs to create unique pies that you’ll never find anywhere else. This is truly worth making the trip for. An offshoot of Jamie Hollander Gourmet, Market Pizza makes some delicious and innovative pizzas. Our family’s favorite is the Black Forest. It ain’t pretty but, damn, it’s a good pizza! 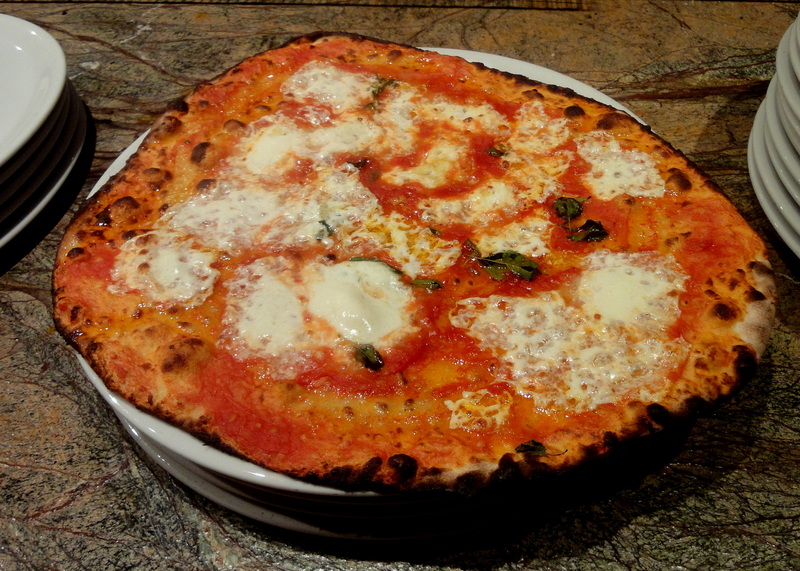 As far as I know, Nomad started the gourmet Roman Style pizza trend in this area, so if you’re looking for “the original” around here, take the trek up route 518 from Lambertville to the quaint town of Hopewell. Pick a nice day and eat on the patio, but get there early because they fill up fast. I think Papa’s has been overshadowed by De Lorenzos, so it’s often overlooked. However the experiences I’ve had there have always been excellent. Great pies. Good service. Plus, they have pasta. 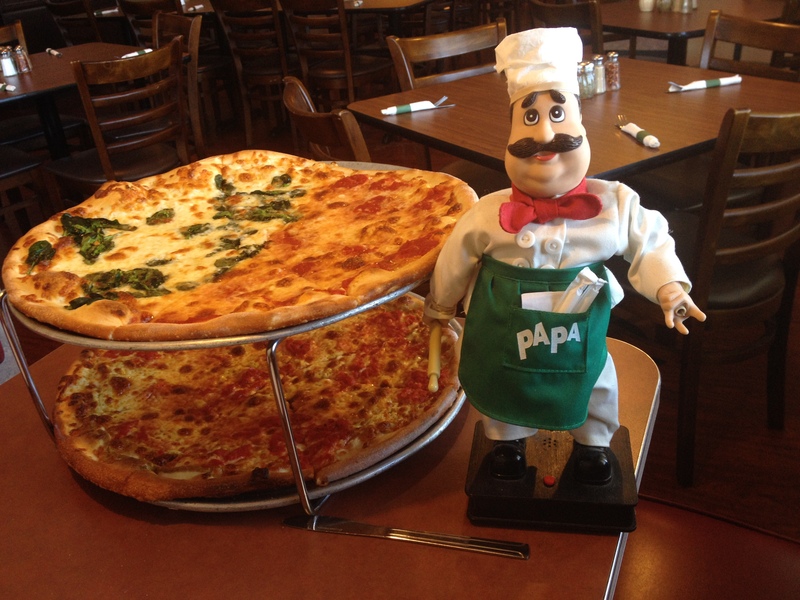 If you’re doing a pizza tour of the area, you must include Papa’s on your list. If you’re feeling adventurous, you have to try the mustard pie. Yes, this sounds absolutely disgusting, but many people (myself included) think it’s delicious. Imagine the flavor of a Philly soft pretzel baked into a top-notch pizza. Another one I haven’t been to but comes recommended. Terry’s Bianca is called “awesome!” So get up there, try it out, and let us know what you think. I haven’t personally been to the Vault but have heard great things about a couple of their pies in particular. The Duck and Apple pizza is unique and apparently worth travelling for. Anything with roast duck gets my vote! And the Brown Sugar Buffalo has also received many kudos. While you’re in the mood to learn about the best pizza places around, head over to the N.J. Pizza Power Rankings! Here’s a real pizza lover – he’s apparently eaten at over 550 different pizzerias in the region. Definitely a good read.